“Why did you refuse that?” George Costanza asked Jerry on an episode of “Seinfeld.” “Everybody loves a package”. That is true, unless you work in a leasing office and receive 100s of packages a week for your residents. Package acceptance, while a great tool for customer service, has gradually become a full-time burden of leasing offices nationwide. 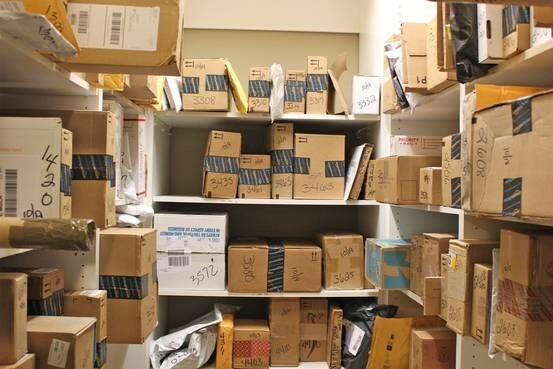 With the onslaught of packages ordered through Amazon and daily/weekly “box delivery” programs, leasing offices are being overrun by packages. Some multifamily companies have gone to a policy of not accepting packages to help limit the amount of staffing hours devoted to packages weekly. By refusing packages at the office, residents are forced to have items delivered to their offices or take a chance by having valuable or perishable packages left at their doorstep. The solution to maintaining the high level of customer service expected by residents at our Hawthorne communities, is in dedicated package delivery centers. These package centers have been around for years but the advances in automation, lower cost of installation, and increasing demand for package acceptance has driven many companies and communities to these delivery centers. 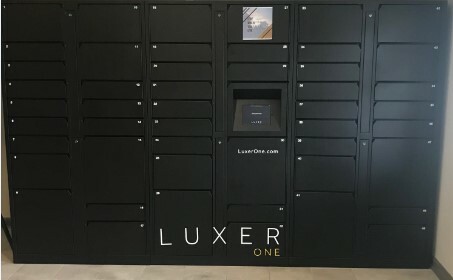 One innovative solution is the popular automated parcel locker system, such as those provided by Luxer or Package Concierge. These systems store and secure each package in an individual locker. A courier delivers these packages and unlocks available lockers. The package is scanned in and locked in the locker. The resident is then notified via an app, email or text message to having a package. They login to the system at the locker central screen, and unlock the appropriate locker to retrieve the package. These systems have two major upsides. First the parcel courier handles the packages entirely and the leasing office staff is left to run their daily activities. The second benefit is that the packages are available to residents any hour of the day. The final benefit is that it enhances the overall resident experience at the community. May sites are placing these package systems in high traffic areas in community spaces to encourage residents to spend time together and encourage community ties. With Amazon continually increasing their presence on consumer goods and deliveries we can expect more and more residents to receive packages into the future. With increasing package deliveries, more multifamily communities will begin looking to package acceptance systems to continue to provide this customer service and advertise this unique amenity of their community. Package Acceptance Systems are the way of the future of parcel deliveries and the future is here to stay….well until drone deliveries take over! Adam’s career with Hawthorne began in July 2015 when he transitioned from the student housing industry. After serving 8 years in the Raleigh, NC student market, Adam has taken flight in his new support role adding value at each community he visits. Serving all communities in the Hawthorne Portfolio, you may see Adam at a community near you soon! He recently relocated to Apex, NC where he and his fiancée, Sarah, have built their first house together. They are parents to a delightful golden retriever named Jackson. In his spare time, Adam is very active in recreational sports and an avid NC State Wolfpack fan!